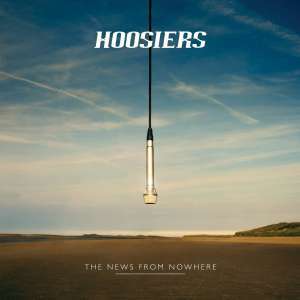 The News from Nowhere by The Hoosiers. Get it today at Amazon. Perhaps it makes me a bit of a “cranky old rock dinosaur” or music snob to state that there have been very few new rock bands in the past decade which have really grabbed my full attention and interest. 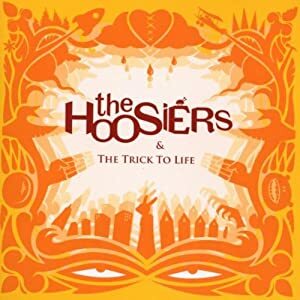 The Hoosiers are one of those precious few—a band which has earned my complete fannish adoration and love since I first heard their 2007 debut album The Trick to Life. 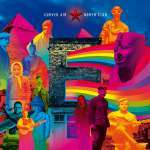 That album was a terrific collection of addictive, hooky pop-rock songs that delighted with their sharp arrangements, Irwin Sparkes’ amazing vocals, and with lyrics that were, as the band promised, about more than just “boy and girl… finding love on a Friday night on the lash with your mates”. The band also seemed to possess a great sense of humor, which I always appreciate. Their music videos were always clever and worth watching, they had a YouTube channel full of humorous behind-the-scenes clips, and they were also personally engaging with their fans, interacting with them regularly on Twitter and Facebook. What’s not to love about any of that? 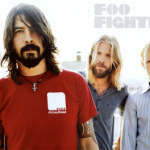 I waited anxiously for their sophomore album, 2010’s The Illusion of Safety, to be released. However, I must say it did not quite live up to the promise of their first album—at least for this listener. Heavily-laden with synthesizers and electronic drum beats, with a more commercial sound and sheen, the record hardly seemed to have come from the same band at all. The only constant between the two was Sparkes’ still-incredible vocals, but this version of The Hoosiers sounded like they were trying to be the next Maroon 5 instead of the next Police…and I wasn’t particularly interested in that. Even so, their sense of humor and whimsy was still present, and there was enough to like about songs such as “Choices” to keep me hopeful for the future. 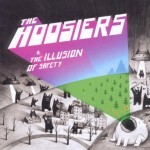 Video for “Choices” from The Hoosiers 2010 album The Illusion of Safety. Apparently the band was not all that happy with the way things were going, either. 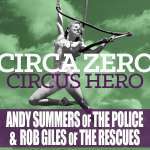 In 2011 they split with their record label Sony, supposedly over dissatisfaction with the way The Illusion of Safety had been promoted. I wonder too if it had something to do with being pushed to fit into a synth-pop music mold, as their first album of new music since then, 2014’s The News From Nowhere, is a glorious return to the sound and style of their debut album and everything I loved about them in the first place. Official video for “Somewhere in the Distance”, the first single from The News from Nowhere. 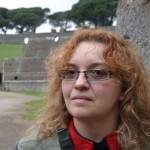 The video features clips submitted by fans themselves interpreting the song’s lyrics. The band announced The News From Nowhere was on its way back in September of 2013, letting fans know they would be recording, producing and promoting it entirely on their own. They also asked for their fans’ help in funding the record through various perks and rewards. I of course did my part, as I could not wait to hear what the band would come up with once free of large record company demands and pressures. The end result was finally released in April of this year and it is absolutely stunning. The News From Nowhere is an album that might surprise some fans, perhaps those expecting a continuation of the dance-pop sound of The Illusion of Safety. But no, even with longtime keyboardist Sam Swallow now officially a member of the band, the sound here is much more pure alt/rock-meets-Britpop. “My Last Fight” offers up a slower groove, one somewhat reminiscent of early Radiohead in style and vocal delivery by Irwin. 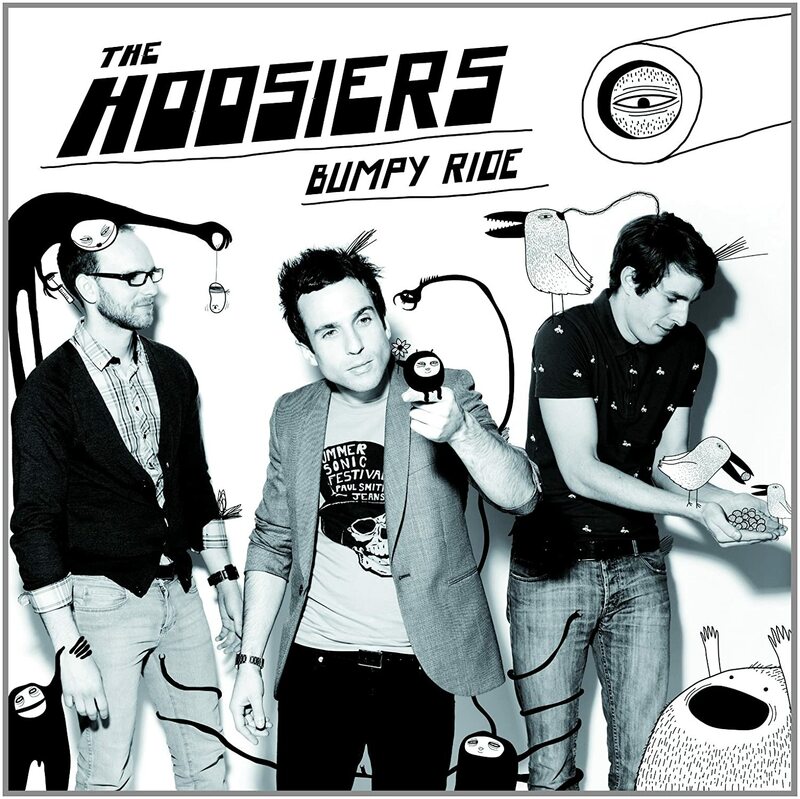 It also sounds more like some of the songs the band performed as The Hoosiers Complex in their earliest days, much more stripped down indie-rock. It’s with the next song, “Fidget Brain”, that The News from Nowhere really takes off for me with a brilliant string of original, quirky songs that mix incredible hooks with elements of Supertramp, David Bowie, Keane, Beck and even a little Sgt. Pepper-era Beatles psychedelia. “Handsome Girls and Pretty Boys” gives Alan lead vocals again and is one of my favorite songs on the album. It has a fun 70s glam rock feel to it and some wickedly clever lyrics as well (“She had a face-lift to keep her chin up/She was forever feeling low/£17.99 from Argos, she had a discount code”). The title track, “The News From Nowhere”, is as stripped down as possible, just Irwin’s vocals, piano and some trombone from Sam. Nothing else is necessary for this hauntingly beautiful song, which recalls the elegant charms of “Money to be Made” or “Clinging on for Life” from their first album. “Rocket Star” picks up the pace again and will have you tapping your toes and singing along on its soaring chorus, but it’s “To The Lions” which is perhaps the album’s real show-stopper. It feels like it could have fit in perfectly on Breakfast in America back in 1979: melodic, a little art-rock, a little prog, but everything I’ve always adored about keyboard-centric British pop and rock music. This is one of those Hoosiers songs I will likely play on repeat, over and over again and somehow never tire of hearing. “Upset” seems to have a bit of early Duran Duran and Roxy Music in its blood, with its heavy bass groove and cool vibe, while “Weirdo” gives Sam a chance to shine alongside Alan on lead vocals. 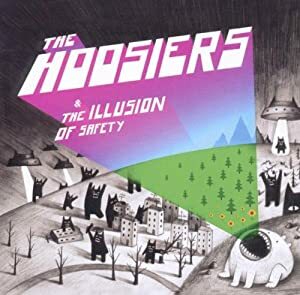 It’s a wonderfully psychedelic-flavored piano-and-brass waltz that fully celebrates and delights in its “weirdness”…which has always been something The Hoosiers have never shied away from in any of their music—and that’s largely why I adore them. As has been their style on past albums, The News From Nowhere ends on an introspective note with the atmospheric “Impossible Boy”. Like many of the songs on the album, its beauty reveals itself upon repeated listens as you get wrapped up in the lush music and vocal textures created by Irwin, Alan, Martin and Sam. I really can’t praise The News From Nowhere highly enough. It’s just about everything that made me love The Hoosiers’ music from the start: wonderful hooks, clever lyrics, gorgeous vocals and music that’s both fresh and new as well as comfortingly reminiscent of my favorite bands from the past. If you’ve never given them a listen before, I urge you to check them out now! And there’s nowhere better to start than with this album. Check out their earlier albums available on Amazon, including Bumpy Ride—their re-release of The Illusion of Safety including bonus audio and video tracks.